The luxuries of living in a city come along with a baggage of disadvantages, whether we like it or not. On one hand, food gets delivered with just a few taps on our smart phones, while on the other, we need to bear with the smoke and traffic on the streets. Shopping malls might cater to all our needs but that would mean having to live in a concrete jungle. Living in the city premise for long lengths of time without having a break can, therefore, exhaust any regular individual. If you've hit this saturation point and are now looking for a way to fix it, you're at the right place. Naldehra, a hill station that is located about 22 km from Shimla and 365 km from Delhi, can be your go-to destination. Much like the weather in most hill stations, the ideal time to visit Naldehra is during summer, when the climate is balmy and sightseeing can be done without any interruptions. Winter is freezing cold but if you enjoy the cold, you can also visit during this season. Here are the places you can stop by on the way to Naldehra. Panipat and Kurukshetra are two cities located at a distance of 72 km from each other. The names of these places might be familiar due to their historical significance in the Hindu epic Mahabharata. Panipat is believed to have been founded by the Pandavas and Kurukshetra is the battlefield on which the great war of Mahabharata took place. Some of the places you may visit here include Panipat Museum, Kala Amb Memorial, Brahma Sarovar, etc. Pinjore is a town in Haryana that is known for the Mughal Gardens called the Pinjore Gardens that was established in the 17th century. It was built at the foothills of the Himalayas and reflects a classic example of a skilfully created Mughal Garden. It is a 7-terraced garden with palaces, such as Shish Mahal, Rang Mahal, Hawa Mahal, etc., built in the style of Rajasthani-Mughal architecture. Pinjore Mango Festival is a grand celebration that takes place every year in the gardens, during the month of July. Shimla, the most sought-after hill station of India, used to be a summer capital for the British Raj due to which tourists may witness beautiful European structures and churches along with numerous temples. The Ridge, located in the heart of the city, is the highlight, where tourists usually buy their souvenirs and gifts. 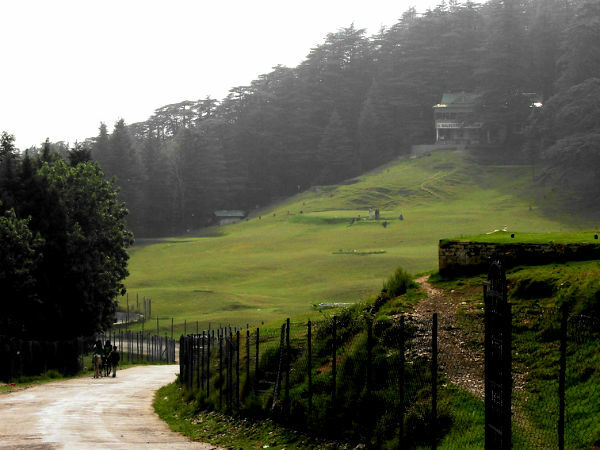 Some other places you must visit in Shimla include Viceregal Lodge, Jakhoo Temple, Scandal Point, etc. Mashobra is a picturesque and secluded town that is located a few kilometres from Shimla. The landscape of Mashobra is mostly covered with immaculate greenery, the sight of which is simply refreshing. Apart from visiting places, such as Craignano and Reserve Forest Sanctuary, you can indulge in adventure sports like paragliding, quad biking or trekking at Mashobra. The small town of Naldehra is a pristine and untouched place that has a refreshing natural beauty. If you enjoy secluded places with less tourists around, Naldehra is the place for you. The most important attraction of the town is the Naldehra Golf Course that was created under Lord Curzon's supervision, before Independence. It is one of the oldest 9 Hole Course, which has now been extended to an 18 Hole Course. Naldehra is, therefore, paradise for all the golf enthusiasts or those who wish to try their hand at golf. Apart from golfing, Naldehra celebrates two major festivals, namely Sipi Fair and Jolton Ka Mela. Dedicated to Sip Devta, the Sipi Fair takes place with grandeur in the month of May. Jolton Ka Mela takes place during October every year and it is a bullfighting festival. Shop for woven shawls, pickles and try the local cuisine to have the best experience of the town. Nature walks through the stunning greenery of the town and visiting the Mahunag Temple, dedicated to Snake God, are some things you can do at the town.